Both federal and provincial laws deal with the cost of borrowing money. Client asks for information concerning interest rates and credit cost disclosure. Client wants to know if there is any limit on the interest they can be charged for a loan. A number of federal and provincial laws deal with the cost of credit. Each level of government has some constitutional authority over different aspects of the cost of credit. The federal government has jurisdiction over interest, banking and currency. The provinces generally have jurisdiction over property and financial institutions (other than banks) that operate wholly within the province. There is little in either federal or provincial law regulating the maximum amount creditors can charge borrowers. Some years ago, the federal government repealed the interest rate ceilings set under its Small Loans Act. In its place, Parliament passed an amendment to the Criminal Code, setting a maximum interest rate in section 347 of 60% per year for all lenders. The section applies to all consumer credit lenders except tax refund buyers and licensed payday loan lenders. Anyone who lends at a higher rate can be prosecuted. And, according to an historic common law principle that courts will not enforce an “illegal” contract, creditors generally cannot use the civil court system to collect on loans where the rate is above 60% per year. Both the federal and provincial governments have laws setting a maximum rate for how much a person can be charged if someone buys their right to receive money from the government. The most common examples of such rights are for refunds for an overpayment of tax paid under the Income Tax Act, contributions paid under the Canada Pension Plan, and premiums paid under the Employment Insurance Act. If the refund is less than $300, at least 85% of the refund. If the refund is more than $300, at least $255 plus 95% of the amount by which the refund is over $300. The rate the lender (that is, the business buying the refund) must disclose to the borrower is calculated according to a formula prescribed in regulations to the Tax Rebate Discounting Act. Many years ago, the federal government passed the Interest Act. However, this relatively short law does not set interest rate ceilings. For consumer loans, the Interest Act simply says that contracting parties are free to bargain for any interest rate they want in the agreement (subject only to other specified federal statutes, such as the Tax Rebate Discounting Act and the interest ceiling in the Criminal Code). The Interest Act also says that if interest is to be calculated on less than an annual basis (daily, weekly, monthly, etc. ), the borrower must also be given a yearly rate. 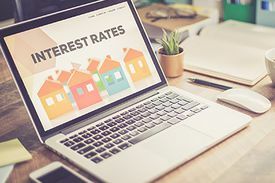 If there is no agreed rate of interest (which rarely happens), the Interest Act says a creditor can only charge 5% annual interest. Credit cost disclosure legislation ensures that borrowers are accurately informed of the charges they must pay for credit. Because there are a variety of ways credit can be granted and charged for, and because there are a number of different methods for calculating those charges with a monthly or annual percentage rate, it is not surprising that many federal and provincial laws and regulations deal with credit cost disclosure. The complexity of this subject is heightened by the distinctions in legislative jurisdiction between the federal government and the provinces. Because these differences have not been fully reconciled either by federal-provincial agreement or by court decisions, it is sometimes difficult to explain where one law starts and another ends. The federal government has legislation on credit cost disclosure through its jurisdiction over interest, income tax, criminal law, and banking. Through its jurisdiction over banks, the federal government has passed Cost of Borrowing (Banks) Regulations under the Bank Act that set out how banks must disclose the interest rate charged on consumer credit agreements, including loans, credit cards, and lines of credit. That rate must be stated as an annual percentage rate. For most consumer credit agreements, the bank must also disclose the cost of borrowing stated as an amount in dollars and cents at the time the credit agreement is made. Provincially, credit cost disclosure is governed under the Business Practices and Consumer Protection Act, Part 5. There are different disclosure requirements for fixed credit (such as loans, mortgages and sales financing agreements), open credit (such as lines of credit and credit cards), and some leases. Fixed and open credit agreements require disclosure of the annual interest rate and the circumstances under which interest will be compounded. Leases and fixed and open credit agreements, which are not credit cards, must disclose the annual percentage rate calculated in accordance with the regulations. If a fixed credit agreement has scheduled payments, the disclosure must include the total cost of credit. In the case of a lease covered by Part 5 of the Business Practices and Consumer Protection Act, the statement must disclose the total lease cost. Part 5 of the Act also sets out disclosure requirements for floating rate credit agreements, and amendments or renewals of credit agreements. This page was last edited on 12 October 2018, at 05:20.